In marketing, changing your image is not all that difficult with the technology available to us. Images, videos and social media all need to work together to make our message as easy to find as possible. The problem is when your changes are not done uniformly. When I redesigned the logo for WSO Insiders, I had to come up with graphics to change on social media as well as the blog. Since I am proficient with Photoshop, I was able to create all the graphics quickly. But when it came time to update my YouTube channel, I had to remember that my intros and outros would still have the old look to them. So I needed to make new ones. Luckily for me, I snatched up Live Action Intros. With this amazing little tool, I was able to design a brand new intro and outro for my YouTube Channel. Here is the outro – the part that tells my viewers to like the video and subscribe to my channel. Because of the outro message, I can get more likes on my videos and more new subscribers to my channel – which translates to more traffic to whatever I am promoting with my videos. So even if you are doing a podcast or a video blog, the intro and outro is crucial to keeping your image the same across as many platforms as you can. Using your logo in as many locations as possible will make it easier for your fans to find you and recommend you to their friends. Remember continuity matters when you are marketing on multiple platforms. PS – I was fortunate to find this little gem of a program. That is why I am recommending it to you (well, that and the fact that I could earn a commission if you purchase using my link). Check out Live Action Intros here! Fast Traffic Bot is Here! 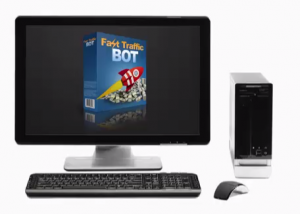 Have you ever seen a web traffic robot like this? Maybe it sounds like science fiction, but it’s now available for marketers like us to use! 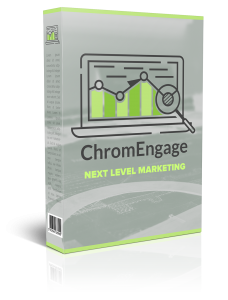 By using this software you can grow your list, and generate web traffic on autopilot. I’ve checked it out and it’s easy to set up, simple to use, and really works. It’s also something that you can use regardless of whether you’re an affiliate marketer with no product, or if you’re a business owner with your own products. Perhaps best of all, the price is surprisingly affordable.